Come play with us! All ages welcome! 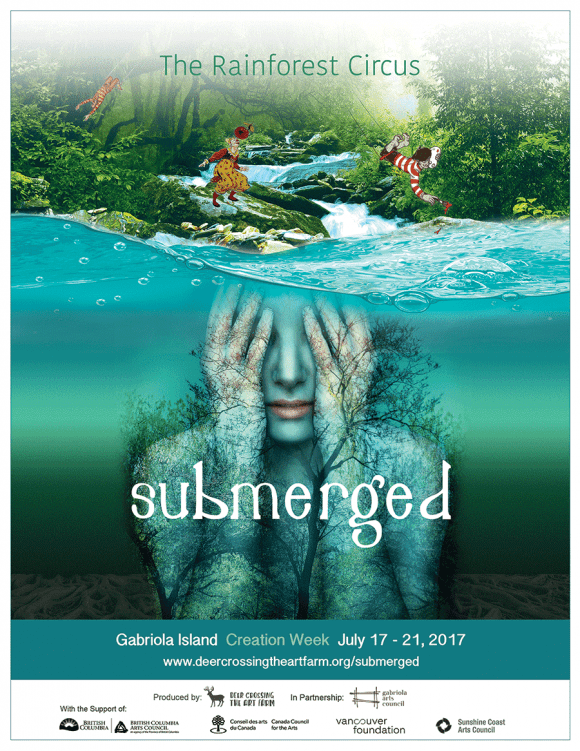 In 2017, three ocean-based communities—Malcolm Island, Gabriola Island and the Sunshine Coast—will begin the creative development of their own rendition of The Rainforest Circus—Submerged, inspired by the story of water. Professional artists will work with youth, children and local artists in each community to engage in a community-engaged creation process exploring and celebrating the role and story of water in their region. Submerged will incorporate acrobatics, clowning, music, visual arts and physical theatre. The entire process, from story collection to production, will be documented, filmed and showcased on-line across the country. 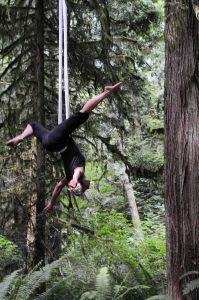 Artists from the Rainforest Circus will visit Gabriola Island to host a week-long Circus Camp. Participants will explore creative themes for the development of their own version of The Rainforest Circus—Submerged, inspired by the story of water. Artists will work with community members to develop their stories into circus productions, incorporating acrobatics, clowning, music, visual arts and physical theatre. NO Experience necessary! Just a willingness to play and submerge yourself into a collaborative process.